Stuart Appelbe is a partner at Accuracy. He specialises in reviews of the achievability of a programme in terms of cost, schedule and risk; reviews of the governance and management of capital programme delivery; contract management; quantum valuation; and delay and disruption analysis, where he has been engaged as an expert witness. Stuart has over 20 years of experience working on complex capital projects across a number of industries. 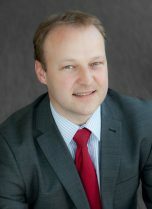 He spent 11 years in industry as a project manager before joining the project advisory business of PwC, where he was for a decade becoming the UK head of construction disputes. Experienced in both public and private sectors, Stuart has assisted clients with projects in distress and in dispute situations across a broad range of industries including: engineering & construction; IT; nuclear; aerospace & defence; oil & gas; transportation; residential property; and banking. Stuart has been engaged to undertake independent reviews of £multi-billion projects in India, Morocco, the Middle East and the UK in sectors ranging from brownfield and greenfield industrial plants to new cities. Stuart has been appointed as a delay and commercial quantum expert on numerous occasions and has testified at multiple arbitration hearings. Stuart is recognised among the leading expert witnesses worldwide by Who’s Who Legal in the practice area of “Consulting Experts: Construction – Quantum and Delay”. Senior project manager on Nuclear; Real Estate and Rail projects. Contract management review: UK defence programme, Atomic Weapons Establishment. Contract management review for a UK government body. Affordability review for a defence organisation: achievability and risks in relation to a portfolio of budget reduction measures. Olympic Delivery Authority (ODA), responsible for designing the commercial assurance strategy and reviewing performance of the delivery partner. Multiple forensic and fraud review engagements.